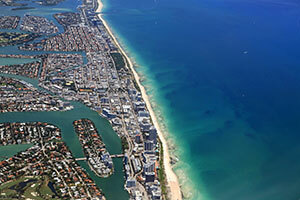 Contact North Bay Village Accident Attorney Gerson & Schwartz, P.A. The two leading factors attributed to the high rate of accidents involving trucks are driver fatigue and reckless motorist. As reported by the Federal Motor Carrier Safety Administration (FMCSA) 480,000 large commercial vehicles were involved in accidents in a single year in the United States. According to the Fatality Analysis Reporting System (FARS), there are approximately 35,000 fatal crashes every year in the US, with eight percent of these involving big rigs or other large truck. Hire a lawyer right away. While you are recovering from your injuries, the truck companies are investigating the accident and setting up their defense. Time is of the essence in these matters so do not delay. Do not give out any statement regarding the accident. The Federal Motor Carrier Safety Regulation requires commercial vehicles traveling in interstate commerce to carry $750,000 of insurance for bodily injury and property damage resulting from trucking accidents. According to Florida Highway Safety and Motor Vehicles, commercial trucks are required to carry a minimum of $10,000 of Personal Injury Protection (PIP) and $10,000 of property damage liability (PDL). If you are injured or if you have a loved one who has been killed in a trucking accident you may sue for your injury or death case. In a truck collision case, you may be able to bring a claim against a myriad of people such as the other driver, the employer of the driver, the manufacturer of a product that caused the crash, and a government entity. Because of the complexities involved with deciding the proper defendant and possible causes of action, it is important to hire experienced counsel. In a truck collision accident, time is of the essence, so it is important that you hire a lawyer as soon as you are injured to help preserve the evidence, as the truck company will most likely be on the scene the same day. What Should You Expect From Your North Bay Valley Lawyer? What medical costs have you incured and what are your expected future medical costs? Has your personal life been impacted by the accident? What are the long-term physical and emotional effects on the injury victim and the family members? The legal team at Gerson & Schwartz, P.A. regularly represents clients in insurance claims and personal injury claims in court following serious accidents and injuries. 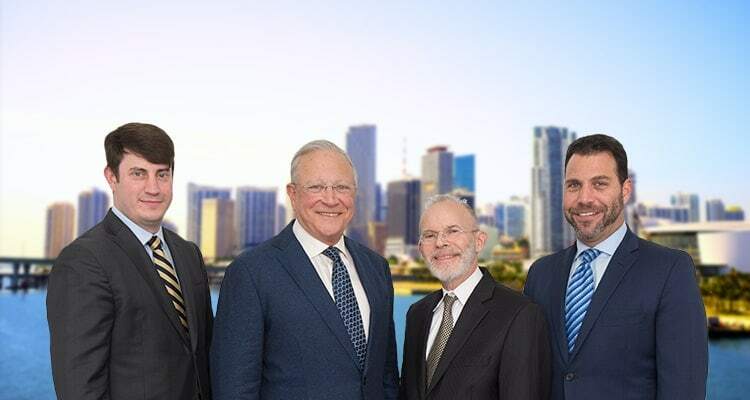 If you or a family member has been injured, please call Gerson & Schwartz, P.A. a North Bay village truck accident attorney at (877) 475-2905 or contact us online to schedule your free consultation.